Rebranding reflects strategic shift from "black to green energy"
Dong Energy is to be renamed Ørsted to reflect its shift from “black to green energy”. The rebranding comes after the firm received regulatory approval last week to proceed with the agreed sale of its oil and gas business to chemical firm Ineos for $1 billion. “Dong was originally short for Danish Oil and Natural Gas,” said the company’s chairman Thomas Thune Andersen. 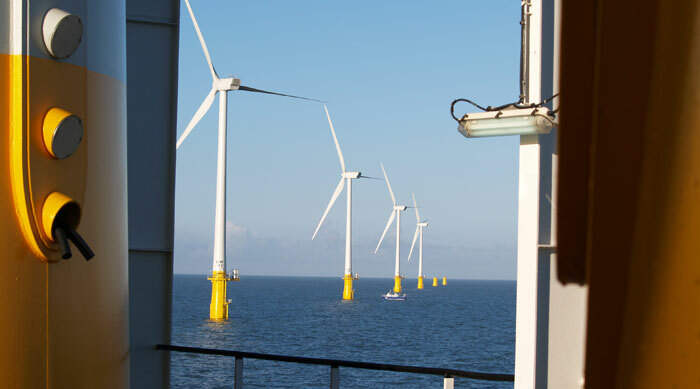 Over the past decade, Dong has transformed itself into a leading renewable energy company and has become a major player in the UK market – owning stakes in 11 offshore wind farms currently in operation or under construction in Britain. Dong chief executive Henrik Poulsen said: “Our focus going forward will be on green growth based on our existing business platforms in offshore wind, biomass, green customer solutions and advanced waste-to-energy solutions. The new name is a reference to Danish scientist Hans Christian Ørsted who spearheaded several scientific developments, including the discovery of electromagnetism in 1820. “We’ve undertaken significant efforts to find the right name and brand identity for our company,” said Poulson. Dong has convened a special shareholder meeting on 30 October to formally decide on the change. If confirmed, the new name will be rolled out across the business from 6 November. After three offshore wind projects secured strike prices starting at around £58 per megawatt in the recent contracts for difference auction in September, Paulson hailed 2017 as “the year when offshore wind became cheaper than black energy”. “It has never clearer that it is possible to create a world that runs entirely on green energy,” he added. The developments included Dong’s Hornsea Project 2, which the company acquired in August 2015.